Late Autumn Dawn With Pink Sky In Mountains. Red Foliaged Trees.. Stock Photo, Picture And Royalty Free Image. Image 108882823. 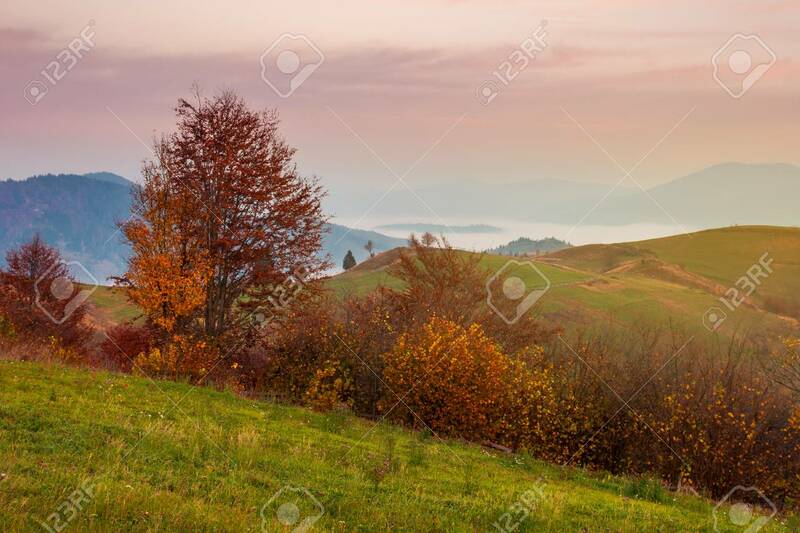 Stock Photo - late autumn dawn with pink sky in mountains. red foliaged trees on the grassy hill. rising fog in the distant valley.